It's officially pumpkin spice latte season for humans—but that doesn't mean your pup can't get in on the fall flavor. Pumpkin is actually a dog superfood, packed with fiber and high in nutrients like potassium, iron, and vitamins A and C. The nutritious ingredient can even be used to cure a variety of canine digestion issues. 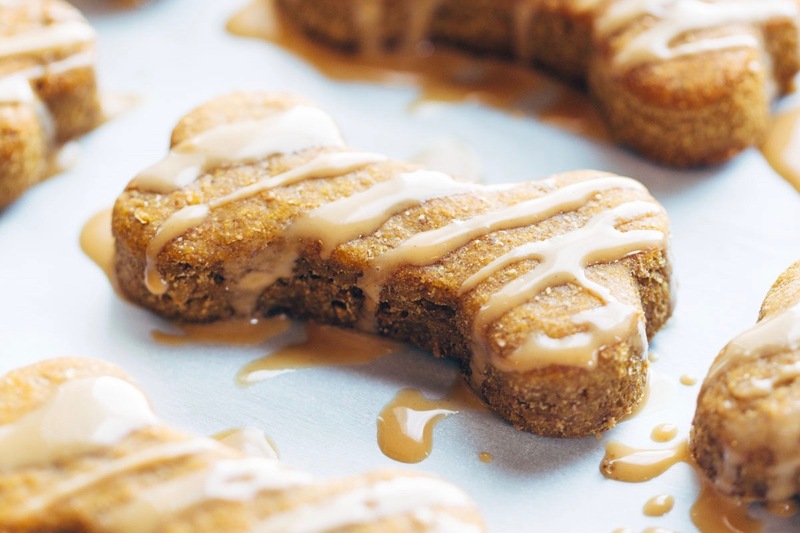 We rounded up some of our favorite pumpkin recipes that are as healthy for your pup as they are Insta-worthy. 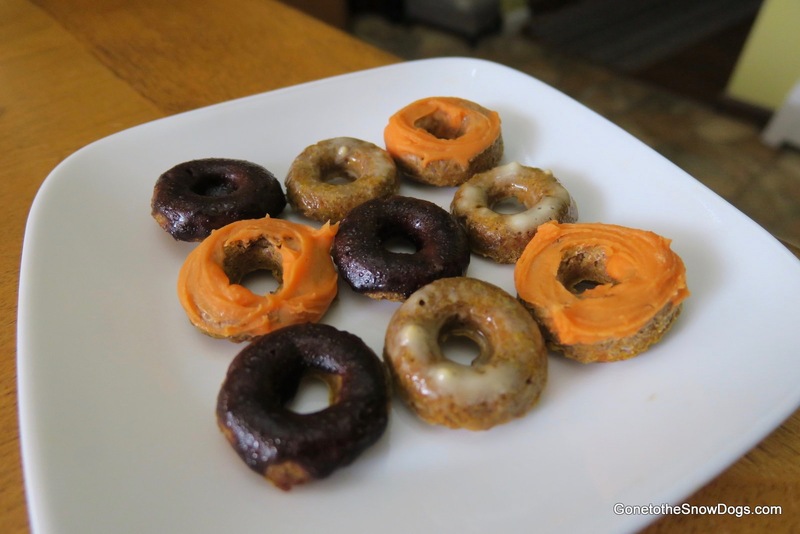 Topped with a pup-friendly frosting, these apple-flavored doggie doughnuts are packed with anti-inflammatory ingredients like ground flaxseed and cinnamon. 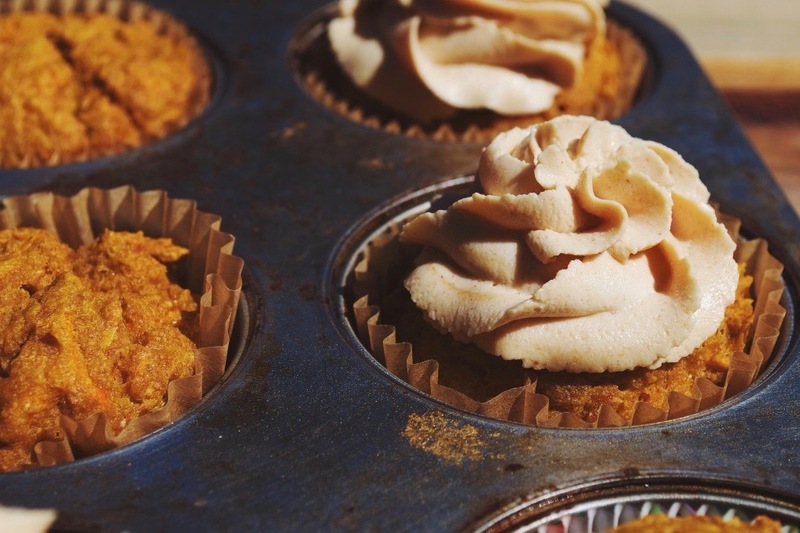 Pumpkin puree and vitamin A-rich carrots make up the base of these cupcakes, which are topped with a peanut butter-flavored yogurt frosting. 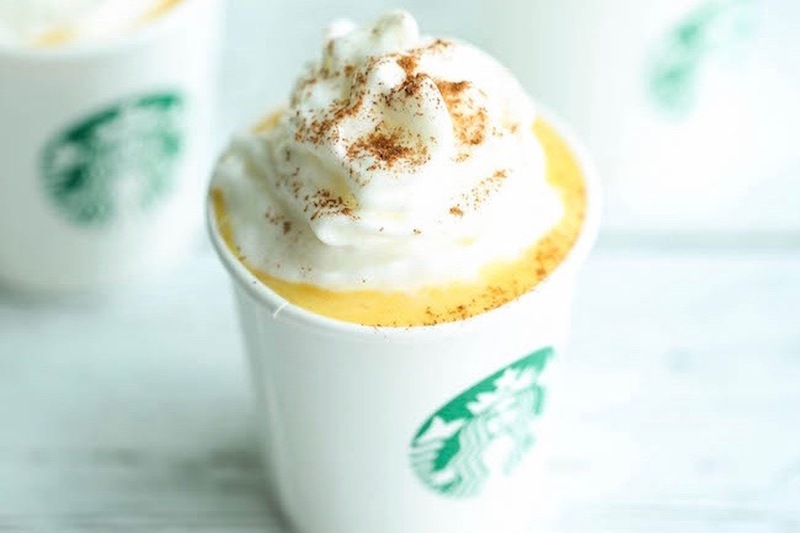 It's the pup version of the PSL! 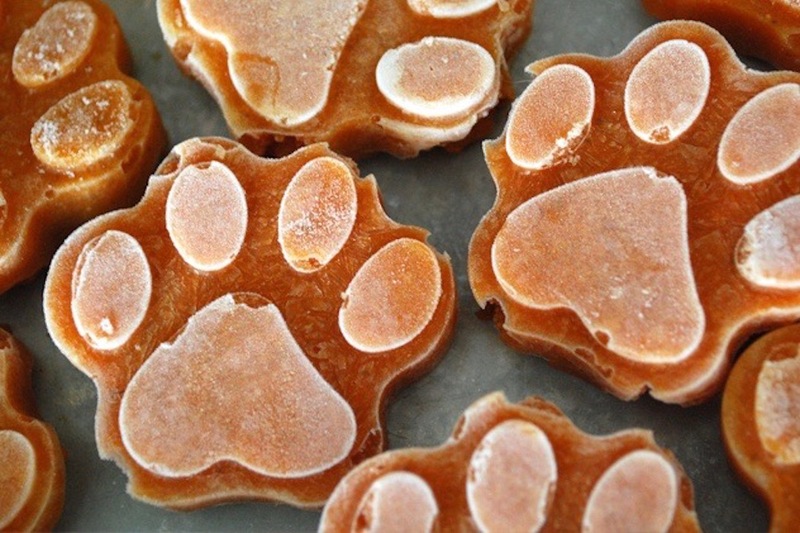 Top this treat off with whipped cream (if your dog isn't dairy-sensitive) and cinnamon. 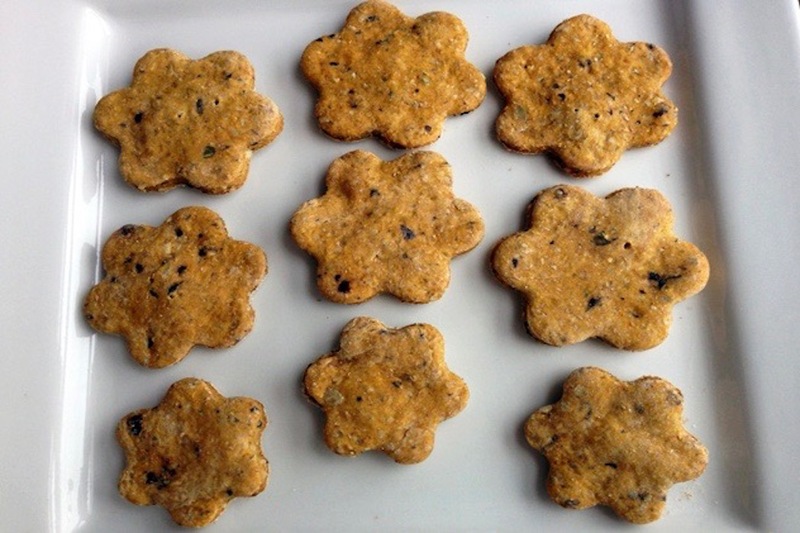 These frozen toppers are a great way to incorporate carrots and ground chia seeds (a great source of omega-3 fatty acids) into your pup’s meals or can be a stand-alone treat. 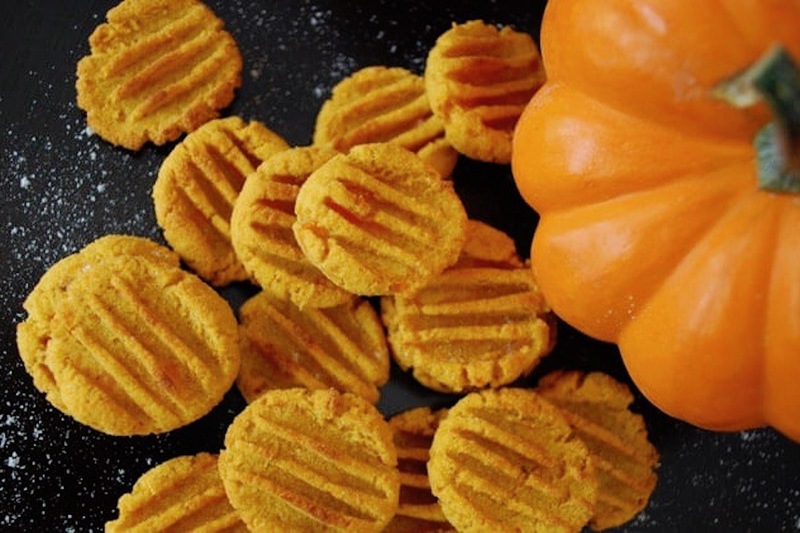 These tasty snacks combine pumpkin and sweet potato, two fall favorites that are nutrient-dense and loaded with fiber. 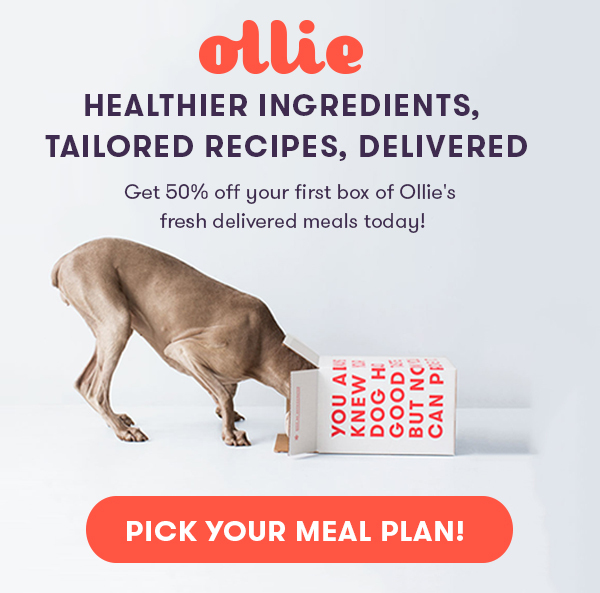 Made with blueberries, a pup superfood known for its powerful antioxidants and high vitamin C content, these baked treats can help boost your pup’s immune system. 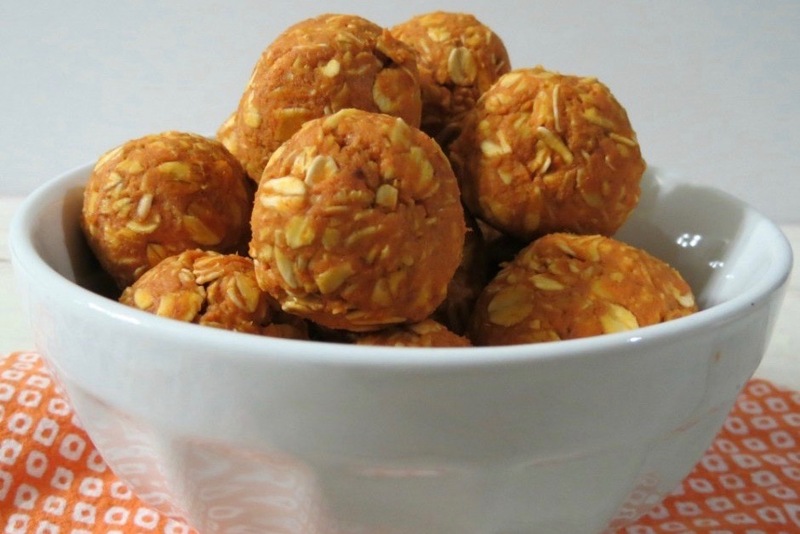 These easy, no-bake pumpkin balls are filled with cinnamon and honey, which can help alleviate some doggie allergy symptoms. 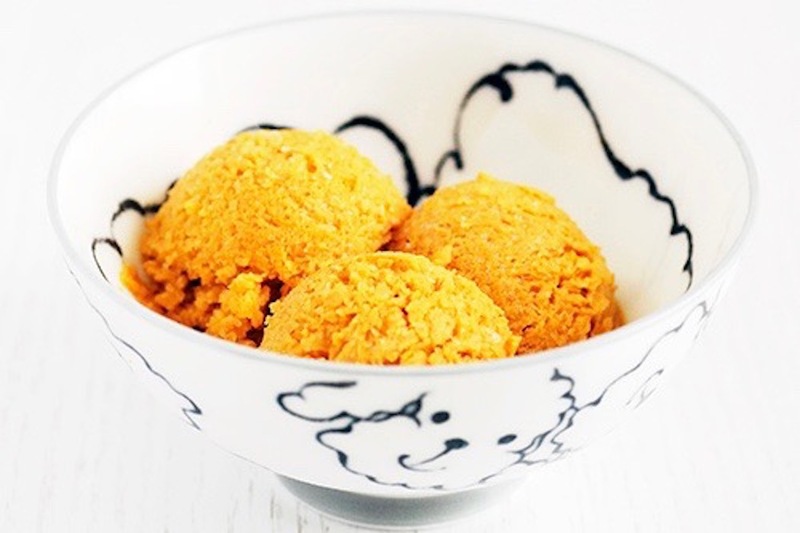 This icy cool treat is made using just pumpkin puree, peanut butter, and plain yogurt, which is full of probiotics that are great for your pup’s digestive system.